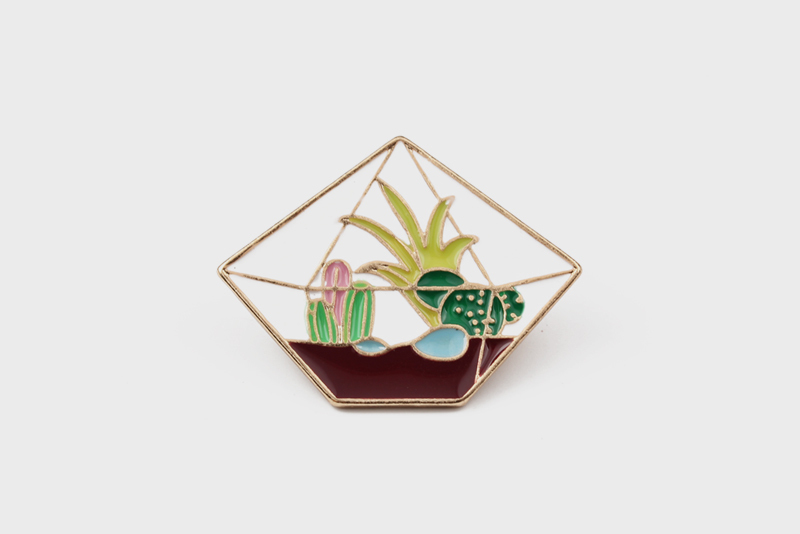 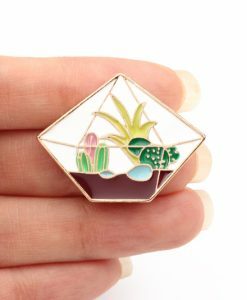 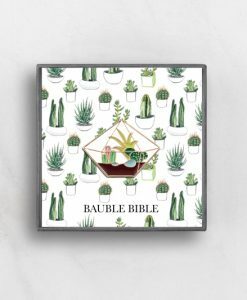 Beautiful Terrarium pin for all you succulent and cacti lovers! 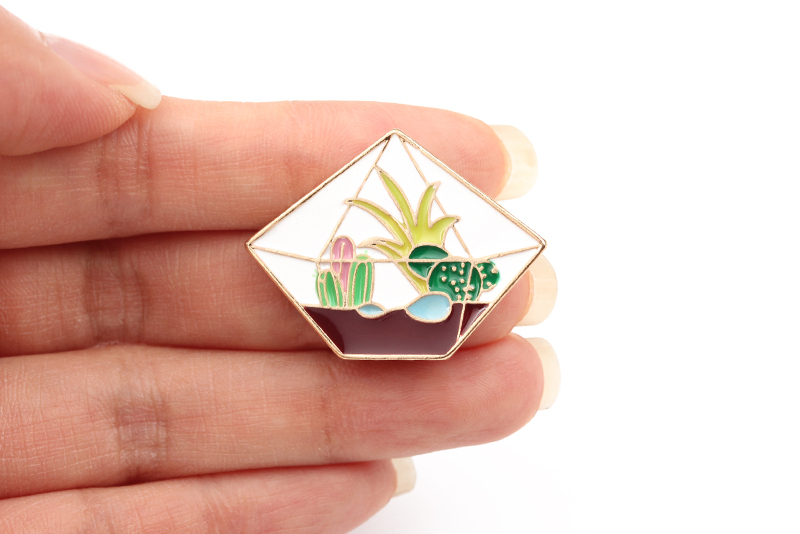 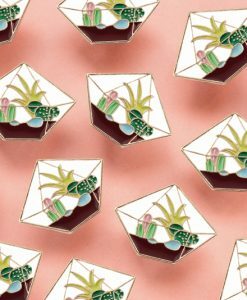 A neat little terrarium pin to show your horticultural love! 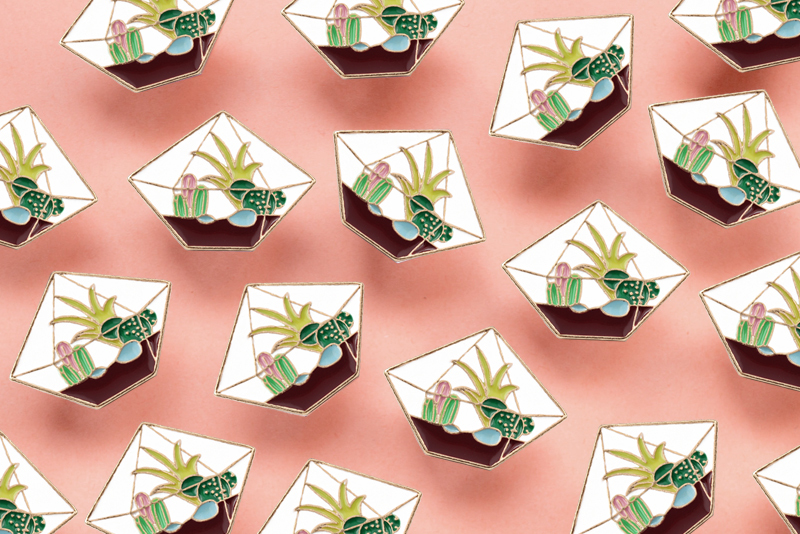 These little plants don’t care if you forget to water them. 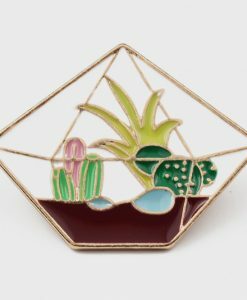 A very lovely designed pin with a butterfly clasp. 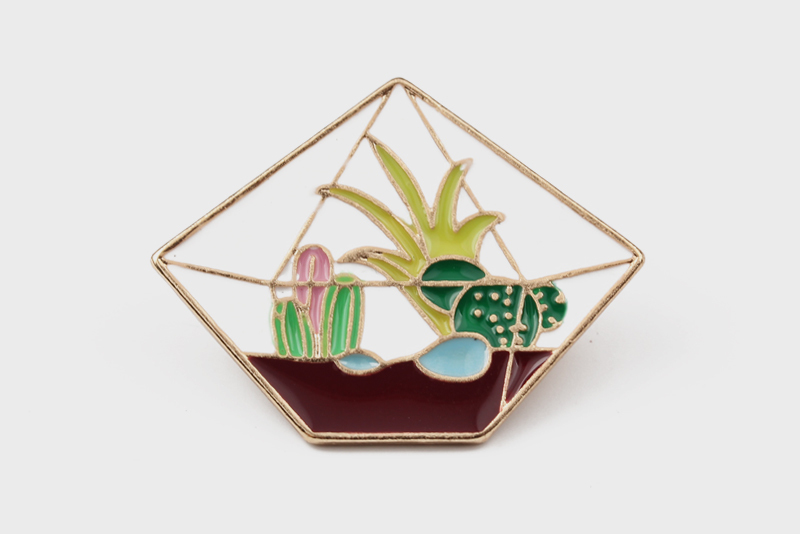 They are a wonderful addition to any lapel, hat, bag, or outfit. 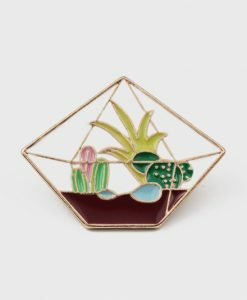 Whether you are just starting a pin collection, or are looking to add one more. 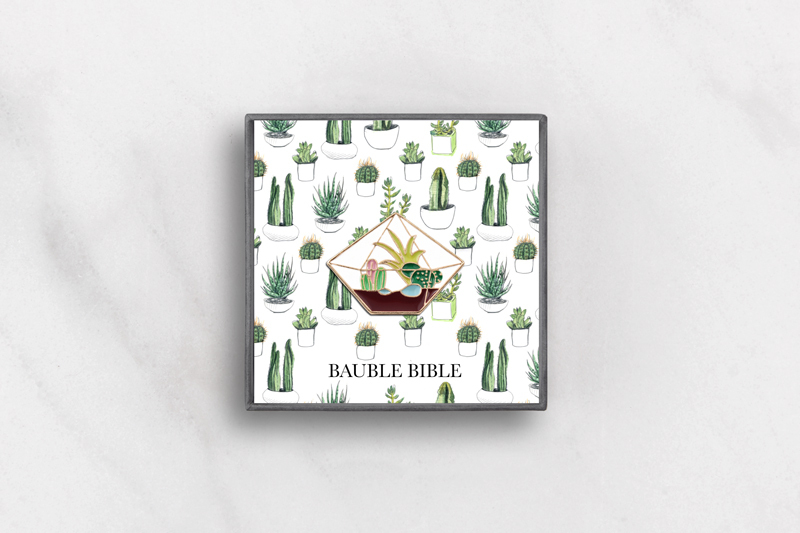 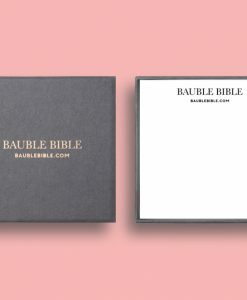 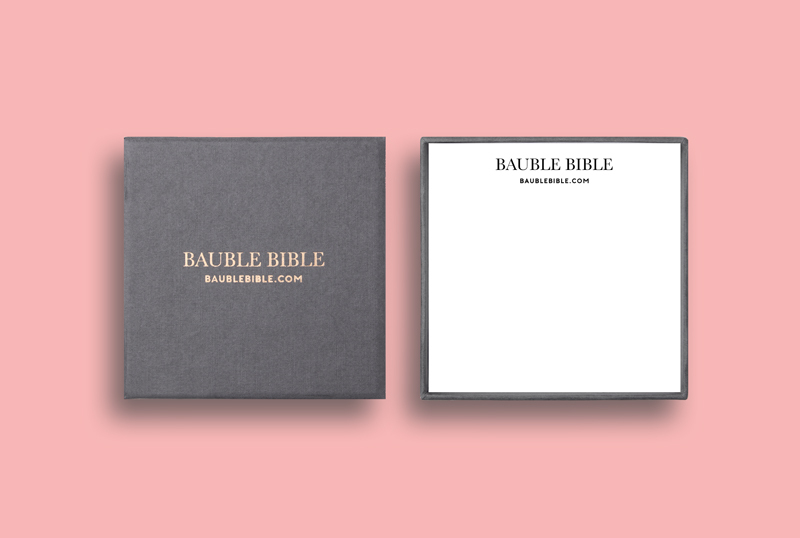 This gorgeous pin will make its way to you in a premium gift box with Bauble Bible logo, perfect for gift-giving or keeping as a little present for yourself!